← Trend Deep Security – Customizing the alert configuration. Enable agility with security built for Amazon EC2. 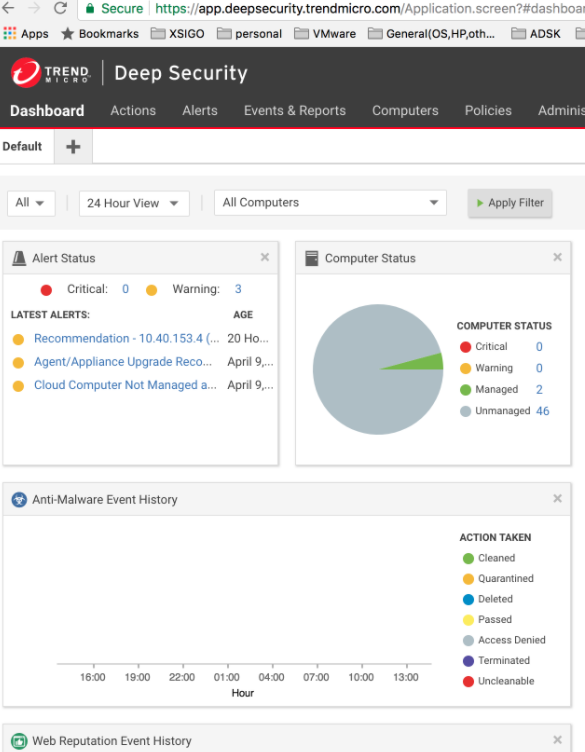 Trend Micro’s instance-based protection, deep API integration and AWS CloudFormation templates help you automate security and accelerate compliance. Together Trend Micro and AWS deliver proactive cloud security that Security trusts and DevOps likes. 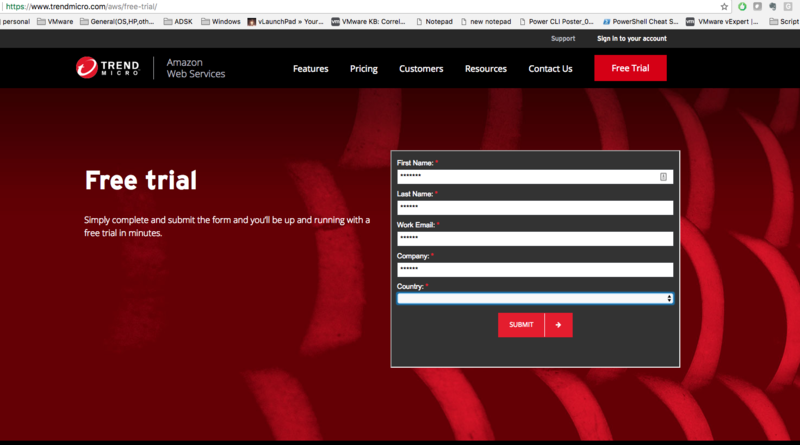 With AWS Marketplace; as a service or software deployment options and pay-as-you-go pricing options, you can seamlessly integrate security into your environment, whether you’re all in the cloud or still supporting hybrid infrastructures. Same like old blog series on Trend DSM , we can see the new blog series on the below topics to enable the EC2 instance with Trend DSM as a service. Login to the below link and create the free account for the testing. Create the own account and login , We can see the Trend Deep security Manager dashboard. This entry was posted in AWS, Trend Deep Security Manager - ( DSM ), Trend Micro Deep Security and tagged AWS, Trend Anti-Malware, Trend as a service, Trend DSM, Trend on AWS. Bookmark the permalink.